Have you done pilates? If so, what kind? Was it a group class? Did you do the mat, reformer, or some other apparatus entirely? Although Pilates is everywhere these days, many of the parts have gone missing. And unless you've done it all and done it in a carefully constructed workout, you're missing out on the most important identifying element of the method: the idea and practice of pilates as a complete system. A system is defined as individual units that work together, or an organized scheme or method. In a proper pilates lesson, this means the individual parts of the workout are defined. Those parts must work together in an organized way to achieve specific goals. These minimum standards, regardless of what type or brand of pilates you enjoy, dictate that all quality pilates training incorporates these elements. What does it look like? Your complete Pilates workout format includes a mat, reformer, and typically two additional pieces of equipment that are selected by your instructor during your workout to improve, intensify, and address your unique body challenges. There are three types of pilates chairs, three types of Pilates barrels, a large table known as the Cadillac, pedi-poles, and many more to choose from in order to satisfy a complete Pilates workout. Taken together, each apparatus improves the work on every other apparatus in an elegant and powerful system. You get stronger and better at each exercise faster than you could ever get by limiting yourself to just one pilates device. Bodyweight trainers will tell you that with good form and progressions you don't need any props at all. Joe Pilates understood the value of body weight training. Using nothing more than positions and leverage you can exploit gravity to train your entire body. The classic Pilates mat takes your body through all planes of motion and addresses every joint. The system uses both compound and simple movements and repetition to accomplish full body training. Even the transitions are smooth and seamless, meaning that the intention of the original work was never meant to give you a break. The entire routine functions like a dance or martial arts routine that doesn't stop until it's over. It's fluid and efficient and sweaty, too. If you are in the routine of reformer classes or choose to only work out with a specific apparatus like the Cadillac or wunda chair, there's no excuse not to go further into the system. Take up your mat practice at home on your own. Fifteen minutes a day is all you need. Following the basic list that Joseph Pilates laid out is ideal. Most definitely. The purpose of pilates is to prepare you for real life. It accomplishes this specifically by cross training for itself. Can't do a move on one piece of equipment or the Mat? No problem. There are a dozen variations across the studio that turn each move upside down and inside out. Push-ups are done on the floor, on a moving platform, even on a pedal. You'll practice each element of a movement and find what's limited or weak in order to finally master that elusive move. Pilates choreography is not accidental. It's a sophisticated targeted method of training intended to be practiced as a system. What If I Don't Have Access to All the Equipment? Find it if you can. Dedicated pilates studios often host teacher training programs and need volunteers to practice on. Fledgling instructors routinely provide low-cost sessions where you get to experience full-picture pilates. If you can't get to a fully equipped studio, patchwork your practice together. You may take a Reformer class on Monday, work at home on the Mat on Wednesday, and try a Tower class on the third workout day. 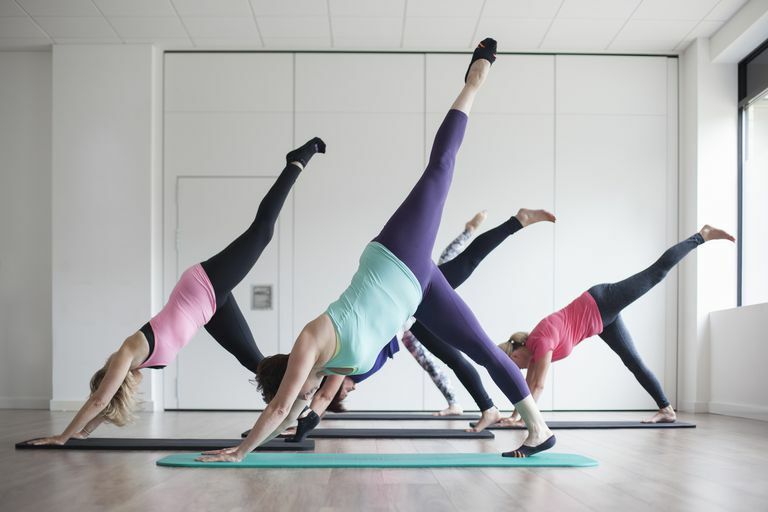 There are tremendous differences in the many different pilates workouts available, but experiencing the method as a system should be on your pilates to-do list.